"I think everyone would be up for it sometime"
Arguably one of the most memorable titles to grace the Sega Genesis in the 16-bit era was Earthworm Jim. Starring a worm in control of a super suit that fell from the sky, the crazy intergalactic adventure became famous for its bizarre sense of humour and fluid animation techniques. The classic received one true sequel from the original team, followed by two more sequels developed by other studios that ultimately failed to match the quality and praise of the first two. It's been over fifteen years since we got an Earthworm Jim game, but perhaps that could change some day in the near future. Oh man. A new EWJ game with the original team almost happened about 5 years ago but a deal with the IP owners couldnt get worked out. I think everyone would be up for it sometime. Feels like unfinished business but hard to align everyone. I wouldnt do it without the key players. While it sounds like it may be a bit difficult for the team to get the rights to make a game, perhaps we could one day see a spiritual successor show up one day on Kickstarter, much like Yooka-Laylee or Bloodstained: Ritual of the Night. What do you think? 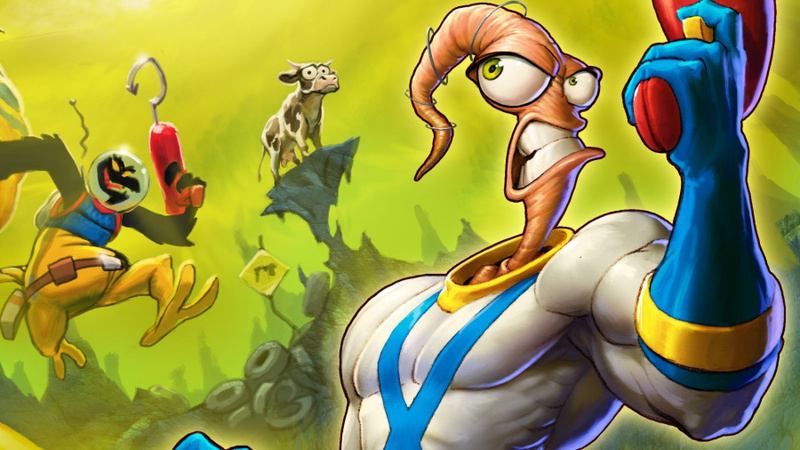 Would you like to see another proper Earthworm Jim? Where do you think they could take the series next? Sound off in the comments below. No, no more spiritual, half-baked sequels. This will probably turn out as another kickstarter cancer and we have enough of those for now. God, the industry must stop wasting billions in a game development and deliver simple but profitable works. Nobody is asking for a $10m project with top-notch 3D HD graphics, I believe every Earthworm Jim fan would be very happy with an EJ3 in classic standards. The 3D game for N64 was a disaster anyway. I find it hard to believe the creators of EWJ couldn't get a publisher to fund them. Give me a break. EWJ: SPECIAL EDITION is my favorite game of all time. This needs to happen. EWJ 3D was forced, the DSi port feels like a crappy mobile game, and the remastered edition is not even close to the Sega CD's Special Edition. Just give me 2D goodness with amazing cell work like the last 2 Rayman games and I'll be happy. 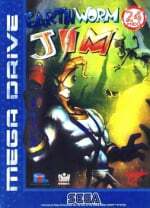 @WhiteTrashGuy The Sega CD Earthworm Jim was fantastic. After playing that version I could never play any of the others. It's a shame that it's so expensive now. Who remembers the cartoon? I can still hear the theme song playing in my head as i type! My only complaint about the game was the somewhat floaty controls. Otherwise it was funny, sound great, and was visually appealing. I would love to see some expanded melee systems, like being able to grab enemies with your whip move and then being able to throw them instantly or slow down time and launch them in 8 directions towards enemies and switches, etc. A mini-rocket pack double-jump would be sweet mixed with the whip swing. You could have some vertically expansive levels with great secrets. Controlable Peter Puppy smash-em-up bonus levels would be sweet too. @OneBagTravel It wasn't a publisher. It was the owner of Earhworm Jim saying they can't use the copyrighted material. I was going to say "another kickstarter then?" but somebody said that already and this situation can't be solved with kickstarter anyway so I don't think they'd try that. @Spoony_Tech I never saw the cartoon but I remember seeing it advertised. That and SNATCHER are the jewels of my collection. You can straight burn Sega CD games, so I just play my burnt copies in the Sega CDX. Reads 'em just fine. @WhiteTrashGuy Nice, I didn't realize that. Another great game on Sega CD was the port of Final Fight loved that game. The arcade ports were so awesome on Sega CD. "Arguably one of the most memorable titles to grace the Sega Genesis"
Am I really the only person who played the games on SNES? Not at all. I had EWJ2 on my snes. Sadly i wasn't born during the SNES days, but if they do plan on a sequel, i'll give it a shot! Other then that it's time for me to Get a SNES! heck i might even end up liking this game! @OneBagTravel This reminds me of Jazz Jackrabbit 3. The game was nearly completed but they failed to find a publisher to make the game a reality. I love the EWJ games, but there's no need to bring back IP for the sake of it. Why don't they design some new characters and use them instead? I wish Nintendo would do the same when churning out another 2D platformer too. @Aozz The first game might be available on 3ds. I purchased it back when the system launched. I don't care what his views are, he's entitled to them, I'd buy another EWJ game in a heartbeat. Hmm I don't see it happening, just as I don't see a proper, new Oddworld game happening. The only thing that came out of the Earthworm Jim franchise in all these years is that PSP remake, and Oddworld inhabitants was to busy on the Abe's oddysee remake (and they probably work on a Abe's exodus remake at the moment, I guess). Yes an Earthworm Jim 4 would be great, they could even turn it into a Metroidvania style title and I would still consider it. YES bring earthworm Jim back. But only under the development of the original team. One of THE best games ever on megadrive. The Christmas I got earthworm Jim and mortal kombat II was one of the best ever. Even the case artwork looked cool. Earthworm Jim 1 and 2 are one of the first PC games I onwed and I still think they hold up pretty well, sometimes the controls are a bit stiff here and there but the animation and music is top notch I love that soundtrack. except that's exactly what everyone is always asking for, ultra high def 4K 240fps with millions packed into 5 seconds of cutscene. the majority wants games that are top of the line graphics and 3D, because for some reason, 2D is inherently inferior to 3D when it comes to games. The 64 game was the only EWJ game I have played it was my first game for the N64. When I was younger Earthworm Jim was one of my favorite shows and I purchased the games as well. But the truth of the matter is that the Earthworm Jim games were a horrible mess of poor design. If they make a new one I hope they really up their standards. I would love a sequel. EWJ is one of my favorite games. I never played the Sega CD version but always wanted too. EWJ2 is a great game as well. GROOVY!!! Also, I just wanted to point out that both GBA ports of the games are crap. Especially EWJ2 on GBA. I almost forgot this gem existed! Honestly I would love if a new EWJ came out, they were amazing games at the time. I'm down. Make it good and put it on 3DS. Would love to see M2 to turn the original into a Sega 3D classic. Maybe some day we'll get Toejam and Earl again too. @beautifulstrong I agree, Earthworm Jim had been appearing on games for Nintendo systems for a while now. He had games on Super NES, Game Boy, GBA, N64 and just recently a remake on DSi. He also appeared as playable guest character in two N64 games, ClayFighter 63 1/3 and ClayFighter: Sculptor's Cut. He's a good candidate for Super Smash Bros. alongside Simon Belmont, Alucard, Bomberman, Shantae, Shovel Knight, Bayonetta, Travis Touchdown, Professor Layton, Leon Kennedy, Billy Hatcher, Crash Bandicoot, Klonoa, Rayman, Spyro the Dragon, Sparkster, Goemon, Pocky and Rocky, Zack and Wiki, Viewtiful Joe, Amaterasu, NiGHTS, Ryu Hayabusa, Lloyd Irvin, Aero the Acro-Bat, Cid, Sol Badguy, Scorpion, Sub-Zero, Jin Kazama, the Harvest Moon kid, etc. @Aozz You really should. The SNES is my favorite video game system, and the only retro system currently in my possession. If you need any reasons, how about Super Mario World, Donkey Kong Country trilogy, Super Metroid, Yoshi's Island, Super Mario RPG, and the Super Gameboy. Put Earthworm Jim in Smash! I know Mike Dietz and Ed Schofield (two of the main members of the old EWJ team), are hard at work at Armirkog. still. I would hope that Pencil Test Studios (their company) next project would deal with EWJ, or a game like that. I know of a fan game that is being worked on, and that looks very promising. I also do not agree with DTN political views, but as long as he doesn't force his views onto others, he can believe in whatever he wants. He is a very talented man and a good story teller. I just don't think it would be wise for me and him to hang out together. That's the thing, what matters is how you treat people. You can disagree with someone to your hearts content as long as you're not trying to hurt them. I have my own prejudices, I'm first to admit it, but they come second to treating people as people. Regardless of the creator's views, this discussion has gone too far south. Let's talk about the game and not someone's statements in the past. Update: For anyone who is interested in Doug TenNapel, do a google search and discuss elsewhere. This is not the place for political or religious discussion. For the purpose of this comments section, only discuss the game and series itself and whether or not you'd buy the game if it came out. To clarify, you are entitled to not support it because of Doug's views, but do not discuss his views directly here. Haha, half of the thread's comments just disappeared. It really did go off-track. I do remember the second EWJ game being significantly better than the first. I ought to play them again. Pull out the ol' Genesis. @Ralizah I always thought the first one was better but then again the last time I played either of them was back during the 16 bit era. If you can find the special edition for PC play that one, more levels and it does away with the password system. Is that on GOG? If it has controller support, I'll definitely try it. Well, I certainly remember it. Same as GoG, though by the sounds of it the Steam version doesn't work quite so well. I think that in order to obtain the SE you'll either need to buy it second hand, or "acquire" it in another manner. I think that as well as some new levels (Big Bruty, snot a problem 1-3) a few of the levels like New Junk City have been extended with additional areas. @Ralizah I don't know about that. I'm not saying that Snake was a better fit than EWJ. I just think that Smash is a rare thing that allows all types of characters to fit in. I played as Snake in the original Metal Gear on the NES years before I played EWJ on my SNES. They're both classic characters who deserve a spot on the roster, in my opinion. Now we just need Simon Belmont, Ryu Hyabusa from Ninja Gaiden, and Toon Ganondorf with his dual swords and my life will be complete. On a side note, why bring up the Sega Genesis on a Nintendo site when both EWJ 1 & 2 were on the SNES? I didn't even know it was on the Genesis until I read this article as I played them on my Nintendo system. There's nothing wrong with mentioning Sega, I guess I'm just wondering why he didn't mention both? @shaneoh Is that one based off of the Sega CD version? Because, for some reason, it was more enjoyable on Genesis. 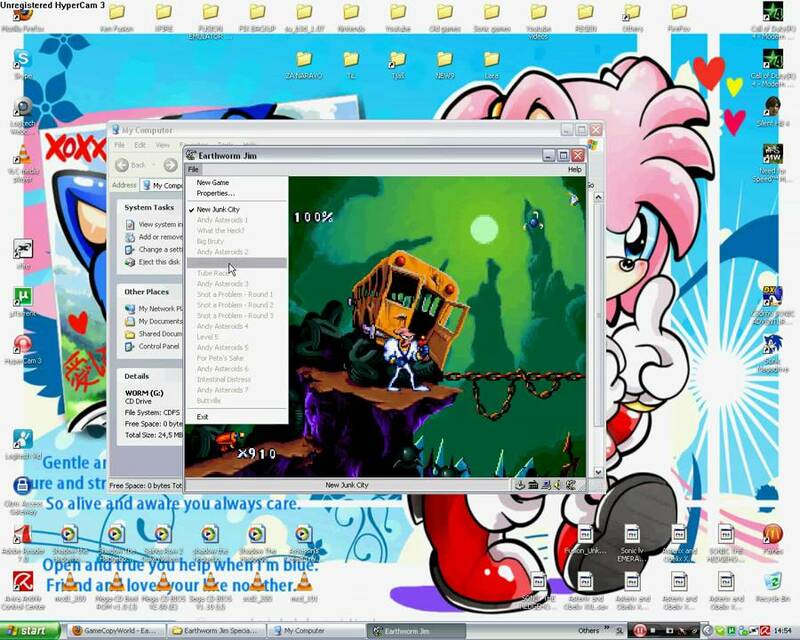 Some games are like that which is cool!! !